The weather has been absolutely fantastic today and I am paying for it this evening, I know that there is something called sunblock I just constantly forget to put it on before I sit in the sun. 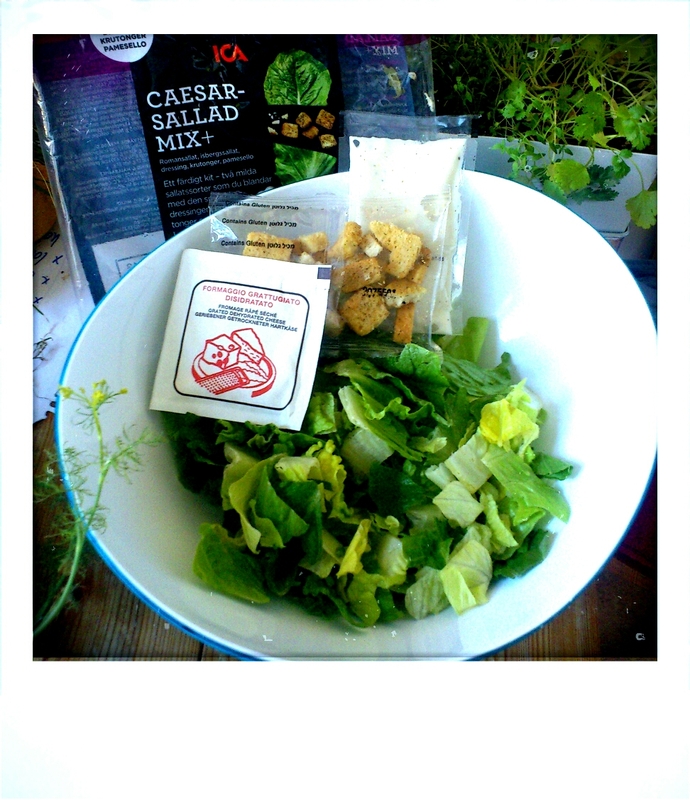 One of my favourite dishes when the sun is beaming, warming up the air, is Cesar Salad. It has been partaken all over the world, preferably with a glass of ice-cold white wine. 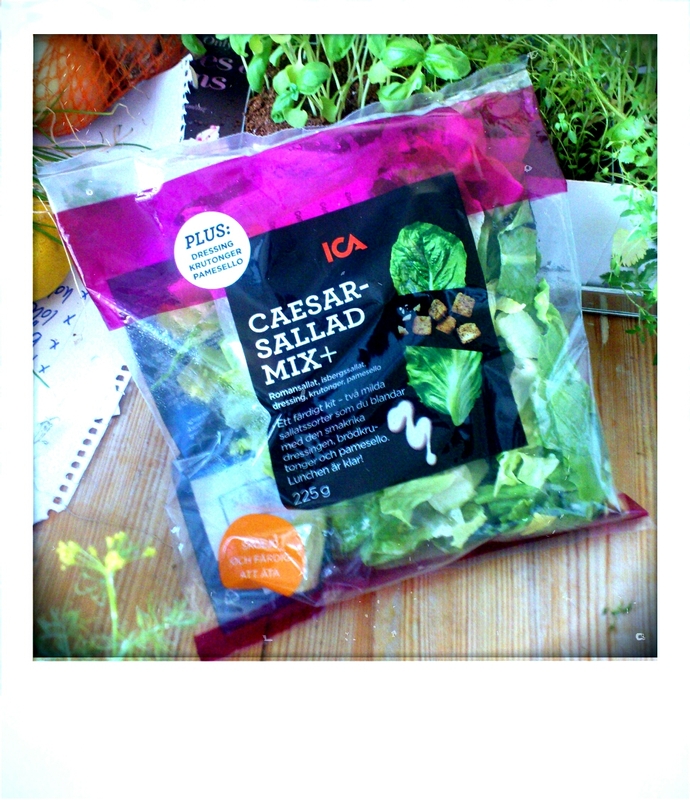 Purchase a bag of ICA’s pre-made Cesar Salad, containing lettuce, Cesar dressing, croutons and cheese. You pour the already washed lettuce into a bowl. Pour the dressing and cheese over the salad, if you appreciate croutons you put them in as well. 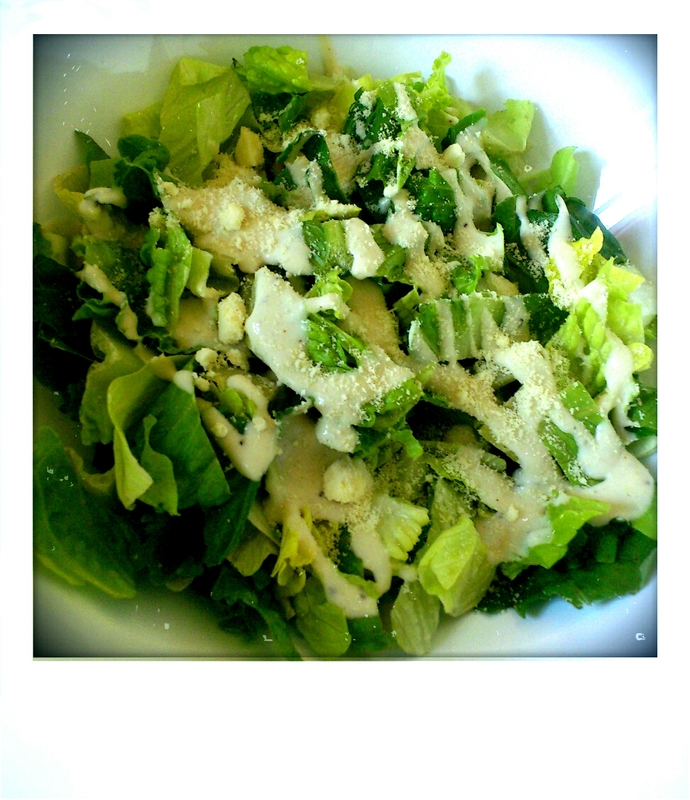 And voila your Cesar Salad is finished. I will admit that I have been skeptic to this, however after trying it I have to admit it is completely acceptable. I guess that I would have made the cheese bits a bit bigger and the Cesar dressing a slightly bit less sour, but hey can’t really be picky now, can I? I don’t really know what happened to June, it passed by very quickly and took all my money with it – don’t ask me how it happened (nothing to do with beer, promise)! Anyhow, I have decided that July will be different, things will change and all that, not to forget that in the beginning of August I will be running; far. July will be a white month. In July I will go running at least twice every week. In July I will spend time with my friends in other places than bars after work. In July I will stick to my budget (ha, ha, ha, I’m soooo funny). In July I will not fall behind on my blog updates, I will even update the ones that are still waiting (Beer Fair, Student budget, 100k biking, etc). Still thinking about this one! In July I will spend time in the park, when the sun is shining. During the past few months the company I work for have been working on changes to the organization which lead to the announcement that 250 people where to be let go. I have to say that an announcement like that lead to a lot of speculation, rumors and uncertainty for the short period that we had to wait for the final decision. For me personally it wasn’t that big of an issue if I was to stay or go, I left this group back in 2010 only to return for a temporary period last year, that temporary became permanent only in the beginning of this year. What I’m trying to say is that I left before, it doesn’t scare me to leave again. Last week the verdict was finally in, and I was kindly informed that there is no place for me in the new organization, after the 31st of December that is. Until then, I will go to work Monday to Friday, every week, knowing that everything that I do is for a future organization without me in it. I will admit that finding the motivation right now to execute what needs to be executed is a bit low, it has only been a week though. Maybe when the waves from the mass-firing has settled, it will be easier to push the thoughts aside and focus on what needs to be done. Until then, the main focus is being on the look-out for a new job. My LinkedIn has been updated with a new picture and skills, the CV’s in both Swedish and English have been updated and put into circulation. So if you know anyone that is looking for someone who is good at the things I’m good at, then let me know! My sister is visiting at the moment together with her hubby and two daughters, and in honor of this I took the day of work today. The morning started with a slight delay as I was out watching football in Copenhagen last night, and as the night got a bit late I stayed over there and of course got a late start on the train this morning (no, the train wasn’t delayed though). I did make it and breakkie/brunch was partaken followed by some shopping – my sister made me do it! And I didn’t spend that much money I just bought a dress and an alarm-clock (no laughing people, I know it’s needed). 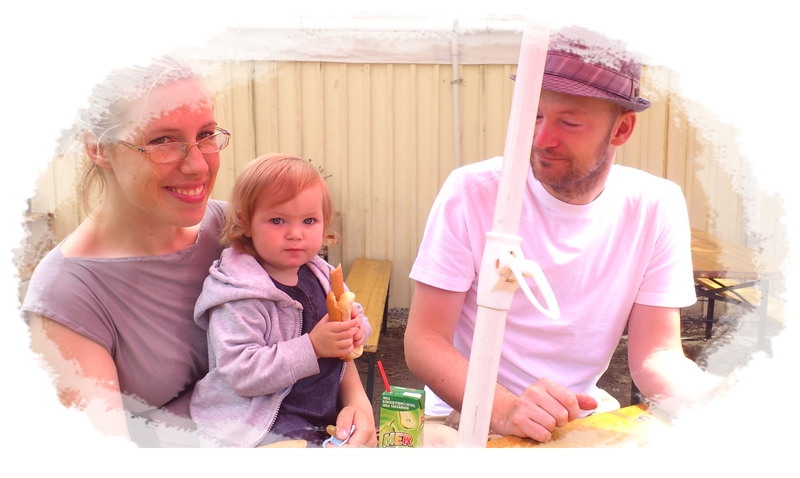 After the sister time, we met up with her hubby and the kids in Folkets Park, a park where I don’t spend enough time to be honest, it has anything anyone can ever need. When you are there with kids, you can enjoy the playground or go on the rides – we did both. 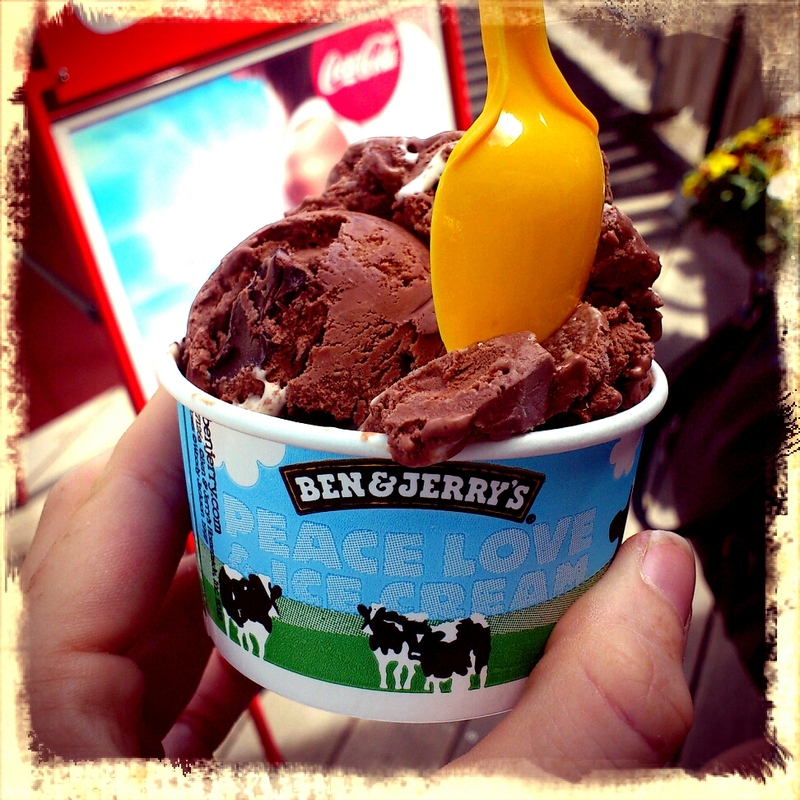 There is also the required junk food lunch break, wich today was sausage and mash, with the most awesome dessert possible – Ben & Jerry’s Phish Food. 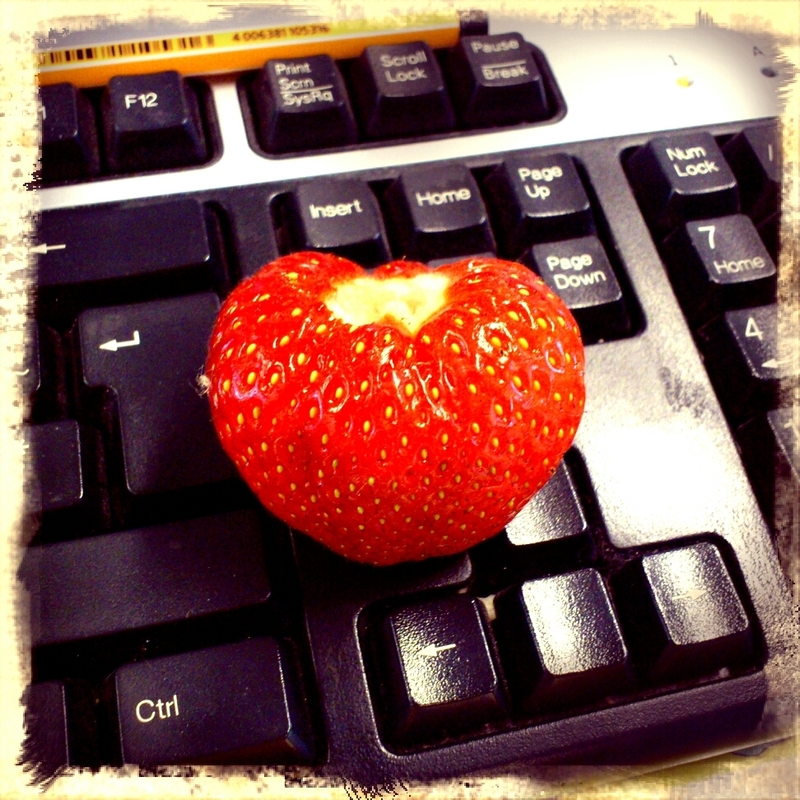 Being at work aint always that bad! I will get there, somehow! In one of my moments, you know the ones one can have sometimes, I decided to sign up for the Malmö half marathon, there are now 45 days left until race day. All I can say is that I might need a little bit more practice, cut down a tiny bit on those cigarettes, and maybe not have a pint of beer after work before I go home and get the brilliant idea to go for a run. Despite a windy gray night, it was great to run with music in my ears to cleans my mind a bit. And knowing me, I know that 45 days from now I will be able to complete the race. before it is time to go to work.